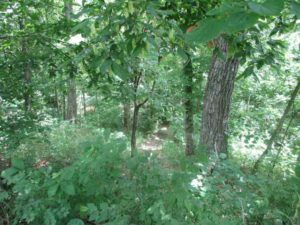 September is Kentucky Archaeology Month and Wickliffe Mounds State Historic Site will commemorate it with Archaeology Day on Sept. 17. 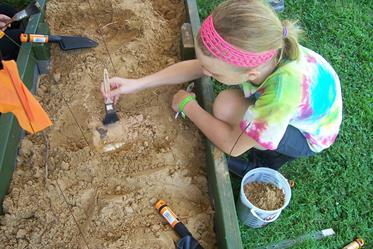 There will be demonstrations, hands-on activities, an archaeology quest and other learning experiences for children from 10 a.m. to 4 p.m. Other activities include spear and atlatl throwing, bows and arrows, flint knapping, simulated surface survey and mock excavation, artifact laboratory analysis, pottery craft, storytelling and corn shuck dolls. These events are included with the museum admission of $5 for adults, $4 for children, seniors and military. 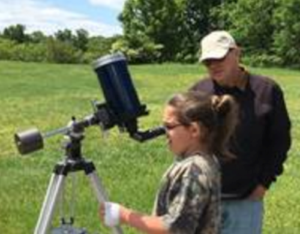 For more information, please call the park office at 270-335-3681 or email carla.hildebrand@ky.gov. Wickliffe Mounds State Historic Site is located at 94 Green Street, Highway 51/60/62, Wickliffe, Ballard County, Kentucky, along the Great River Road National Scenic Byway. 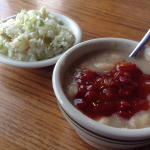 The Pond (Formerly Willow Pond) in Aurora: What Makes This Kentucky Lake Restaurant So Special? It’s been a while since I wrote my first Willow Pond in Aurora review (8 years to be exact!) but the review still gets visitors. In fact if you click the link, you can read the raving comments of others who’ve visited and loved this wonderful Kentucky Lake restaurant. Special note before I continue with this review… I often refer to this particular Willow Pond as the Willow Pond in Aurora – I’m not trying to be wordy (I don’t have to try to be wordy, just ask my husband). 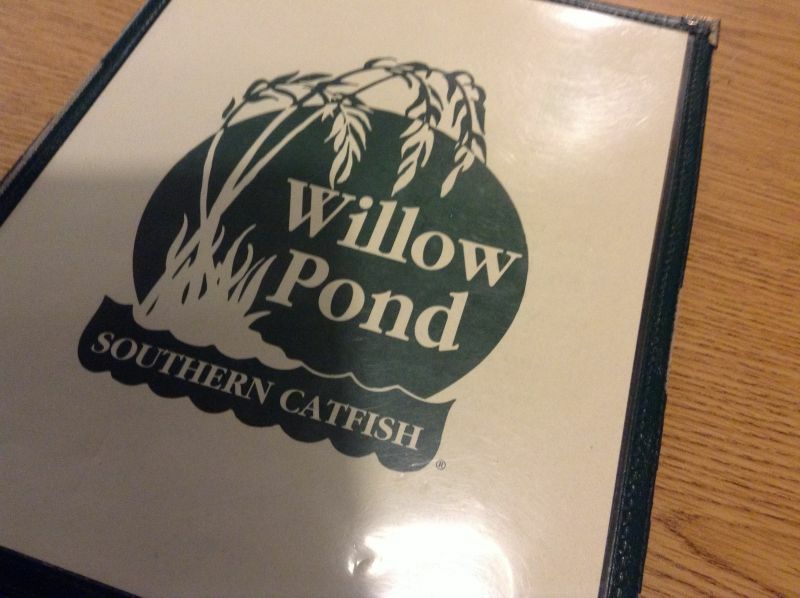 There is a Willow Pond in Eddyville and it is nowhere near as good as the one in Aurora. Different people run the place, different people work the place, and different people cook in the place. 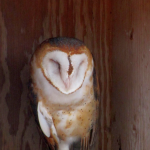 I want to clearly distinguish between the two because the Willow Pond in Aurora is excellent and the one in Eddyville? Well, you’d be better off at Wendy’s. Back to Aurora and back to the “right” Willow Pond. Recently, I found myself (yet again) recommending Aurora’s Willow Pond to someone. 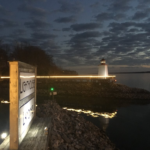 A woman contacted me, through e-mail, asking for suggestions – she and her family planned to be in the Kentucky Lake area, for the first time no less, and wanted to know where I recommended lodging, eating, and shopping. 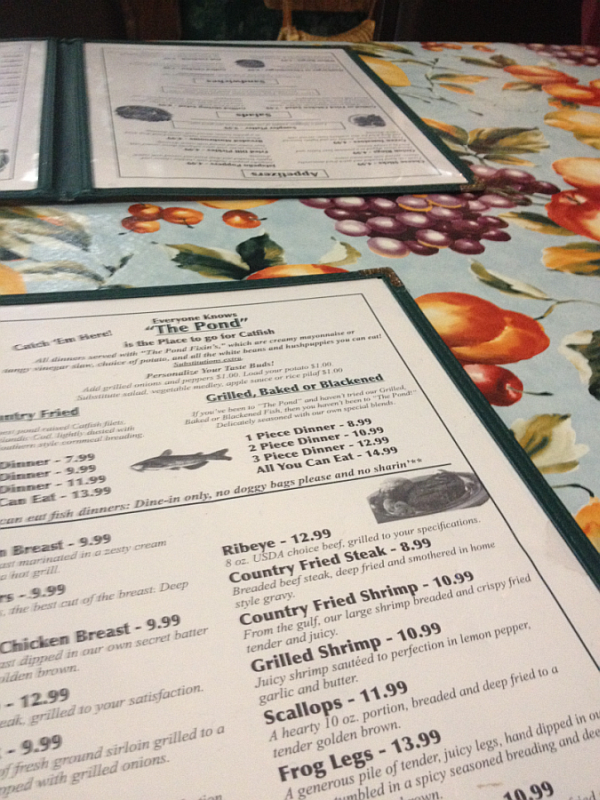 As I sat typing out a nice long e-mail to her, I found myself raving about the Willow Pond restaurant in Aurora. 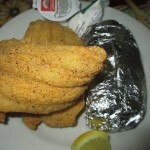 After sending the e-mail, I started thinking, What is it about Aurora’s Willow Pond Restaurant that makes it so special? Why do I always feel 110% comfortable and confident sending people their way? What separates them from a lot of other restaurants? 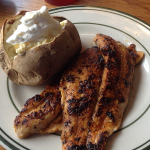 Why is it the perfect place to eat if you’re visiting Kentucky Lake, Lake Barkley, or the Land Between the Lakes? Fortunately, I never task myself questions I can’t handle, so I came up with the answers. The FOOD Sets Willow Pond in Aurora Apart. 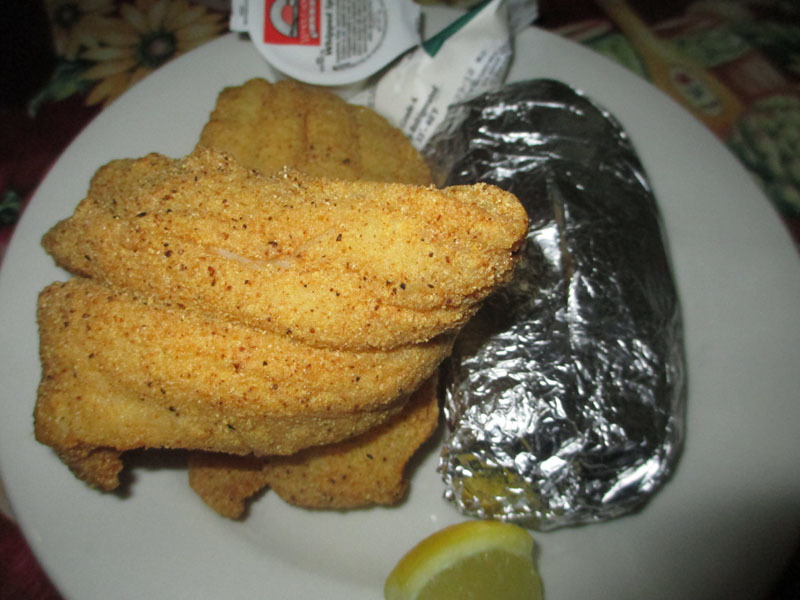 A lot of catfish restaurants (all that I’ve been to anyway) offer deals where you get your choice of meat, white beans, hush puppies, coleslaw, and your choice of fries or a baked potato. 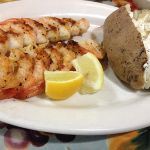 Each of the sides at Willow Pond (in Aurora) are superior to other restaurant’s sides. Period. I’m a nice Southern gal, but there’s no way to sugar coat this. Their beans? Better than other restaurants. Their coleslaw? Better than other restaurants. Their hush puppies? Okay, this is where I get sad.. 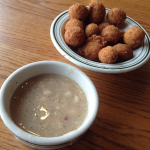 I was always addicted to their wonderful hush puppies until I had to start eating gluten free. 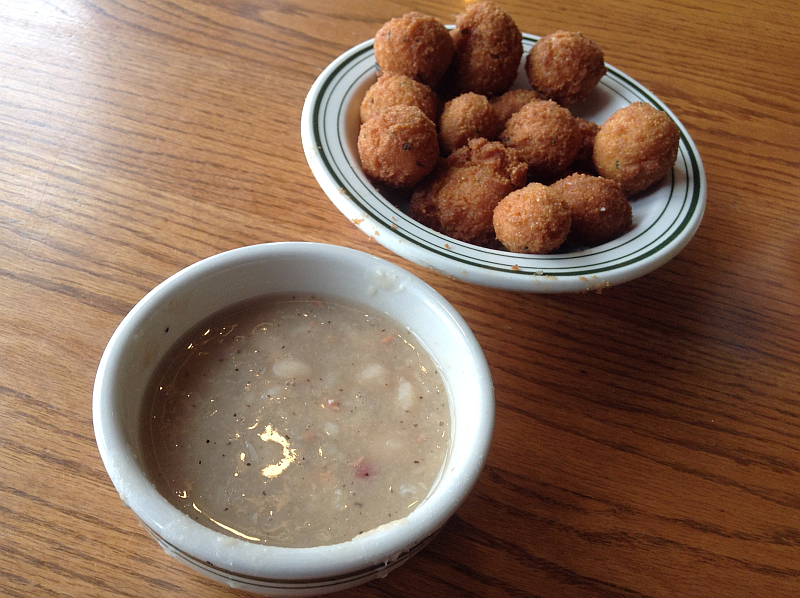 But, memory serves me well and their hush puppies are much better than other restaurants. 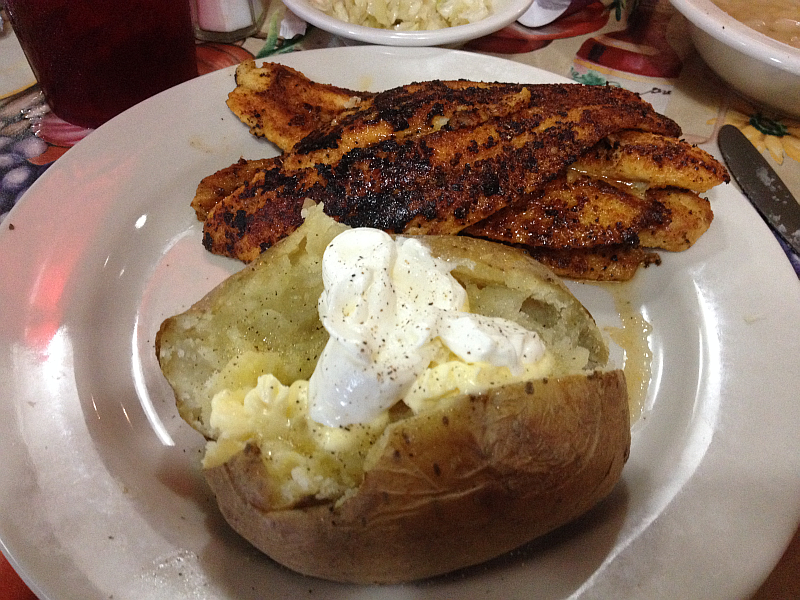 Their baked potatoes are always perfection, as well. They have something else that sets them apart, too – red pepper relish! A bottle sits on each table (and is even available to purchase) and it is Heaven on their white beans. HEAVEN. 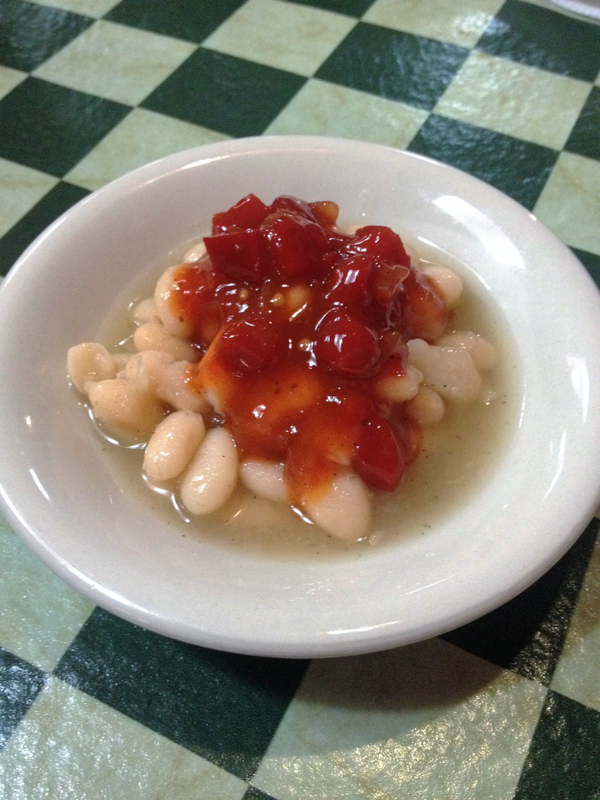 Mind you, the beans are delicious without the relish, too. 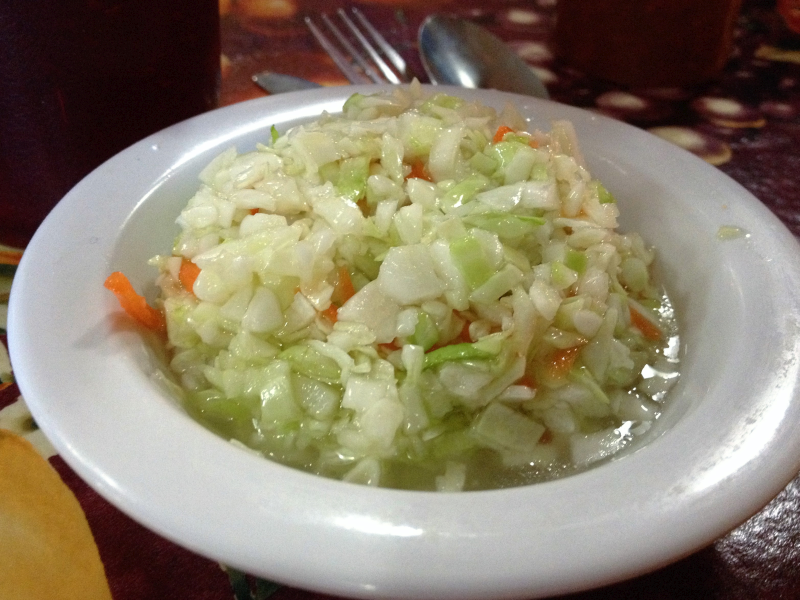 The coleslaw is available two ways – made with vinegar or made with mayonnaise. To be honest, I’ve never had the mayo one in all the countless times I’ve been there. I don’t have anything against mayo coleslaw – but the vinegar coleslaw is so crazy delicious I just can’t wander away from it. 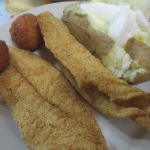 Willow Pond’s fried catfish is (again, going by memory) also better than you’ll find anywhere. 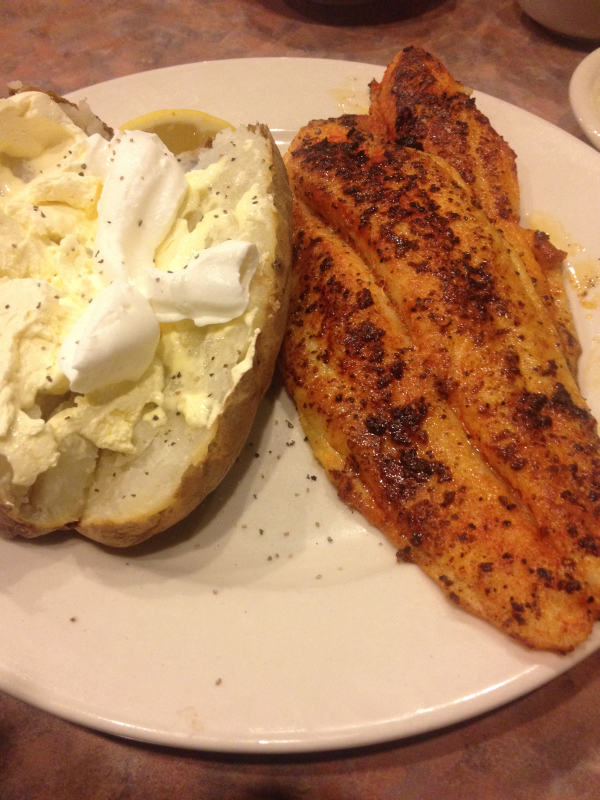 Fortunately, since I have to eat blackened and grilled these days, their non-fried catfish is also great. 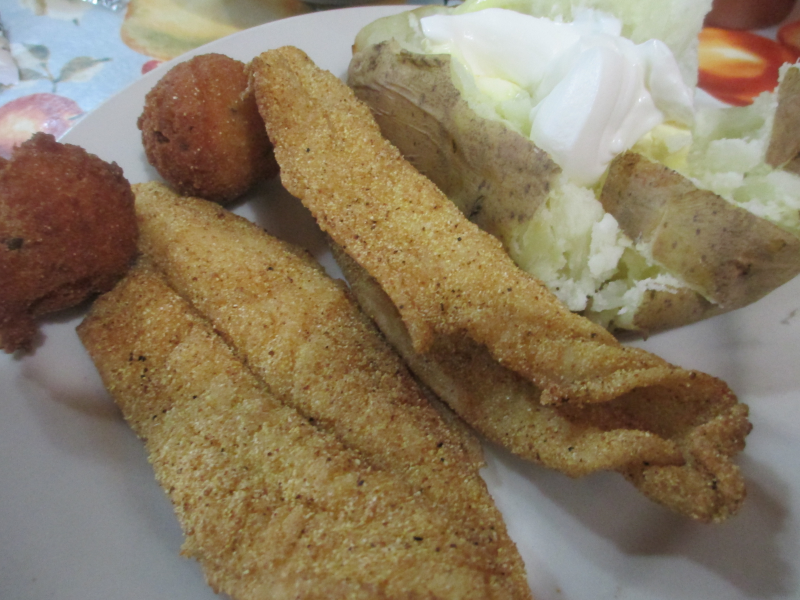 Because their fried catfish is the stuff legends are made of, I was honestly broken-hearted about having to give it up. 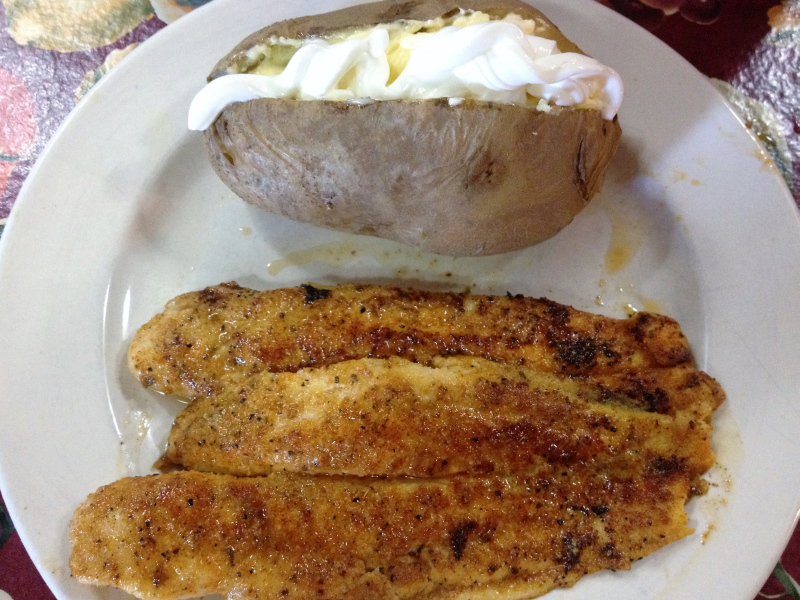 However, one bite of their grilled catfish and my poor catfish-loving heart mended right up. 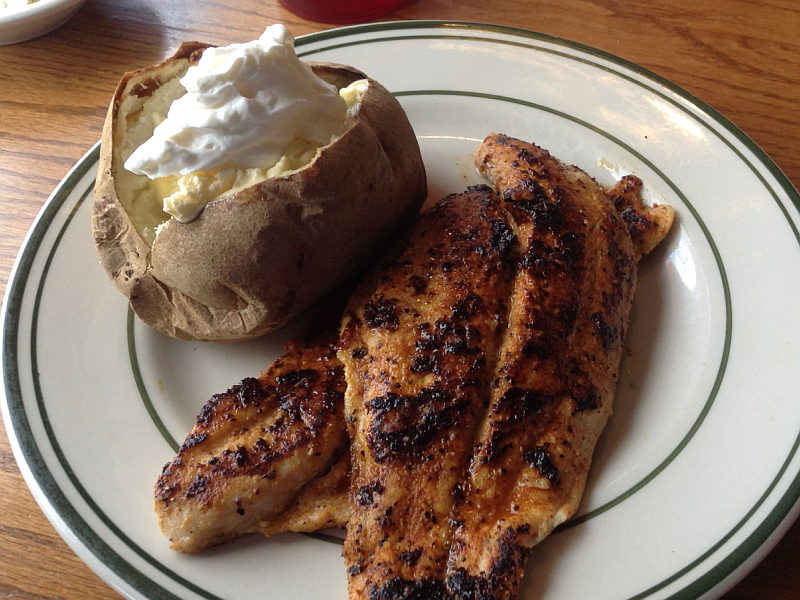 The grilled and blackedned are as delicious as the fried, and that’s really saying something huge. 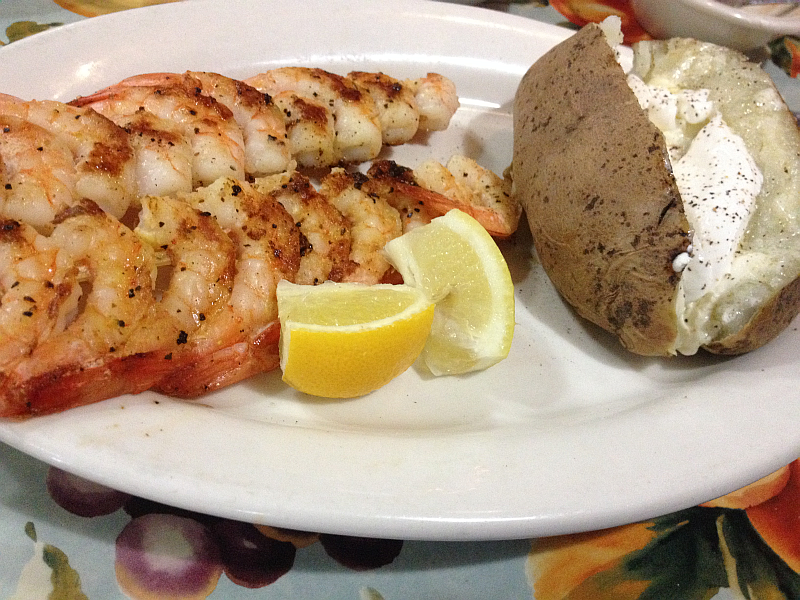 Something else on the menu that’s out of this world is their grilled shrimp. Delicious! It doesn’t need any cocktail sauce – that’s how flavorful it is. Even the iced tea is consistently great at Aurora’s Willow Pond! 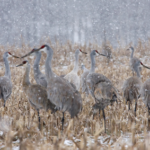 CONSISTENCY Sets Willow Pond in Aurora Apart. Aurora’s Willow Pond is as consistent as the word, itself. Consistent is always spelled the same – it never changes. You know what to expect, c-o-n-s-i-s-t-e-n-t. This Willow Pond is delicious each and every single time. As consistent as c-o-n-s-i-s-t-e-n-t. It doesn’t matter what day of the week it is, it doesn’t matter what month of the year it is. The food refuses to be anything but delicious. The prices refuse to be anything but reasonable. The restaurant, itself, refuses to be anything but the very definition of comfort. The PEOPLE Set Willow Pond in Aurora Apart. The hostesses and servers are just as consistent as the food. Some of the faces may change from time to time but the “heart” of the restaurant never changes. There is an unmistakable atmosphere of happiness and southern hospitality flows through the air. 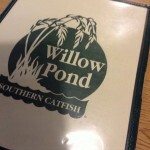 We’ve eaten at this Willow Pond far too many times to even begin to count and we have never (not once, mind you) encountered a single worker who was rude or seemed in any way less than happy to be right where they were, doing right what they were doing. They make you feel welcome and the smiles on their faces when guests walk through the door are not fake. They are genuine. 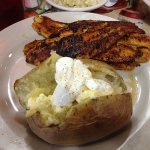 About a month ago, we were enjoying a wonderful meal as the restaurant began to fill up. There was an event at nearby Kenlake and apparently there was a great turnout. The servers and hostesses were incredibly busy but it never registered on their faces. It was as though their smiles and hearts didn’t realize how busy their hands and feet were! A very large group came in (ten people, in all) and the servers worked, happily, pulling tables together and talking to everyone about their visit to Kentucky Lake. Not one single face “registered” the crazy pace of the evening and not one responded with anything but a smile and kindness to each and every guest. They almost reminded me of how I am when all of my family gets together on holidays. Mind you, I’ve never been in the restaurant business (even though my kitchen often feels like one!) – but I can’t help but think that the staff often takes on the character, mindset, and possibly even “heart” of the owner. In this case, it would make perfect sense, because the owner is what we call “good people” here in Kentucky. Very, very good people. It appears to me that the heart of the owner resonates with each member of his staff. People like that? You bet they set a restaurant apart from the rest. The CHARM Sets Willow Pond in Aurora Apart. 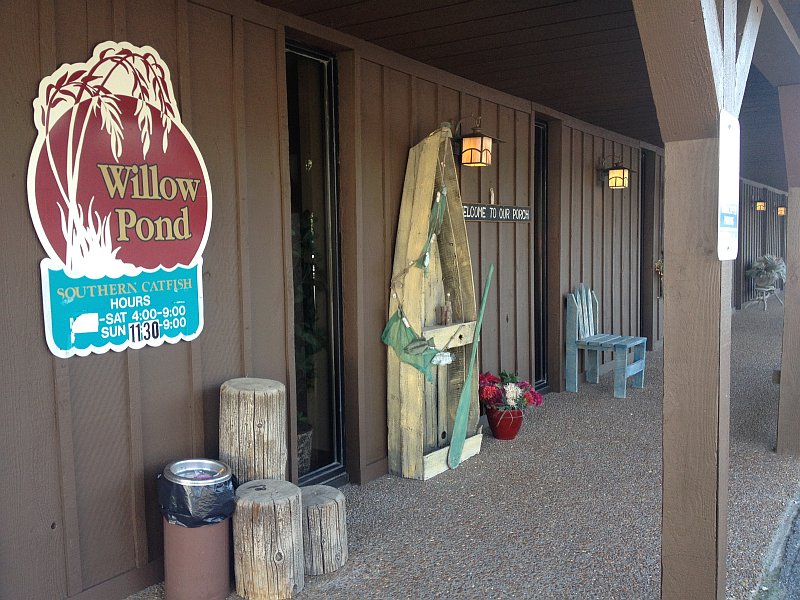 We’d been going to this Willow Pond for months before I put my finger on what I loved so much about the restaurant, itself. 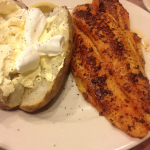 There are other restaurants in the area that also serve great food. There are even a few that also have ridiculously friendly “good people.” And yet…. 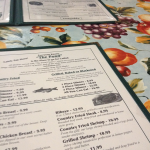 Whenever my husband and I would discuss where we were going to eat supper while in the area, we almost always came back to Willow Pond in Aurora. The restaurant, itself, is spacious, cozy, very comfortable, colorful and… well… charming. Very, very charming. 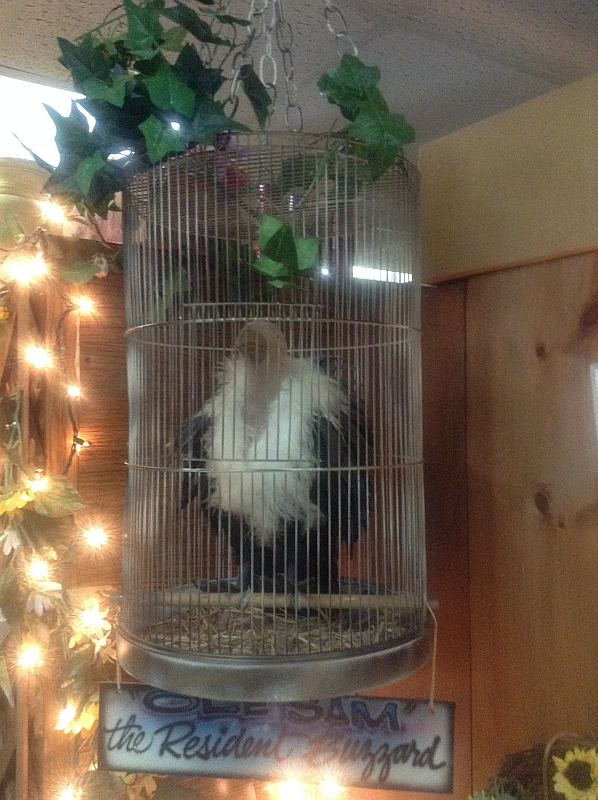 I love the checkered tablecloths, I love the floral tablecloths, I love the fruity tablecloths, I love the country decor, I love the front porch, I love Ole Sam the Resident Buzzard (pictured below) a lot , and I love the I love the down home vibe of the entire restaurant. I enjoy being there. Period. 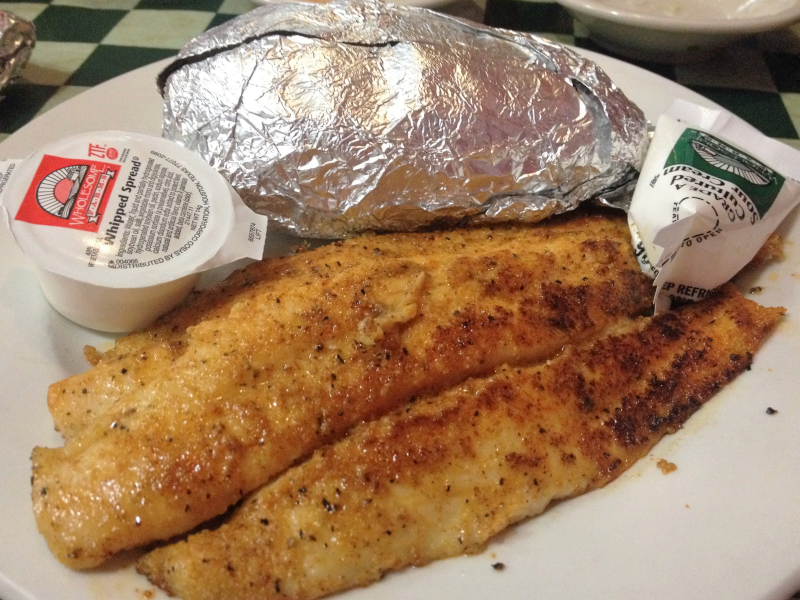 Next time you’re in the Kentucky Lake, Lake Barkley, or Land Between the Lakes area – you know where to go for supper. When you go, say “Hi!” to Sam for me. Heck… I might even be there, myself. 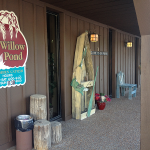 Check out Aurora’s Willow Pond on Facebook to stay on top of their hours. Like all businesses around tourist areas, the days and hours change throughout the year. 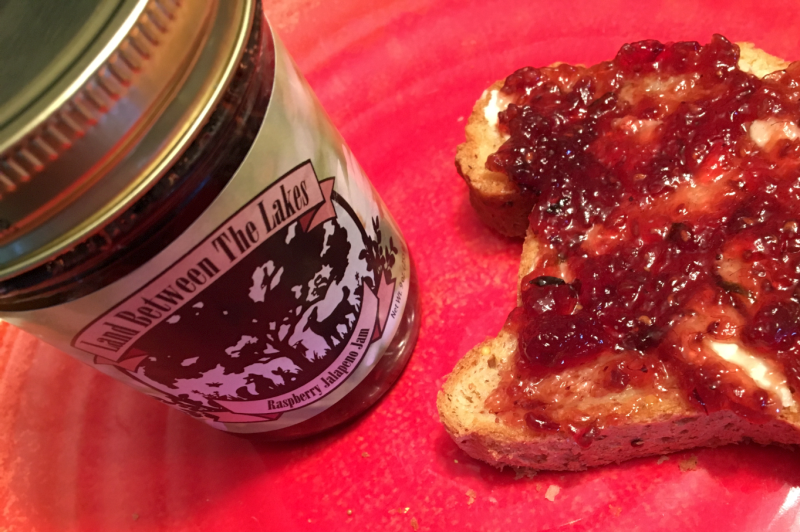 Land Between the Lakes Raspberry Jalapeno Jam: Holy Cats, This is Delicious! Before my body decided that gluten and wheat were poison, I was a bread baker extraordinaire. Almost weekly I’d make homemade sourdough bread, cornbread, buttermilk biscuits, etc. Because our kitchen was like a bakery, we always had at least 6 different jams, jellies, and preserves on hand at all times. Having to eat gluten free turned my kitchen bakery on its head, but you can still find the same number of jams, jellies, and preserves – after all, gluten free bread, cornbread, and peanut butter sandwiches still call for spreads. 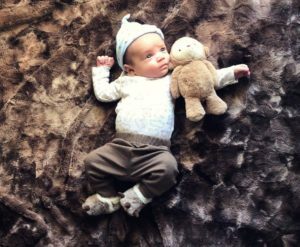 I honestly think I’m even more obsessed with them now than I was then – after all, when fate gives you a list of things you can no longer enjoy, you cling for dear life to the ones that remain! My favorite jams are raspberry, plum, cherry, strawberry, peach, and blackberry – I guess because I’m obsessed with the fruits they come from. Raspberry and Plum (my two absolute faves) can be tough to find, so whenever I’m standing before a selection of jams and jellies, I look for them first. Finding either is akin to Christmas morning because they are tough to find. Recently, my husband and I were at the 1850’s Homeplace in the Land Between the Lake for a Civil War presentation. 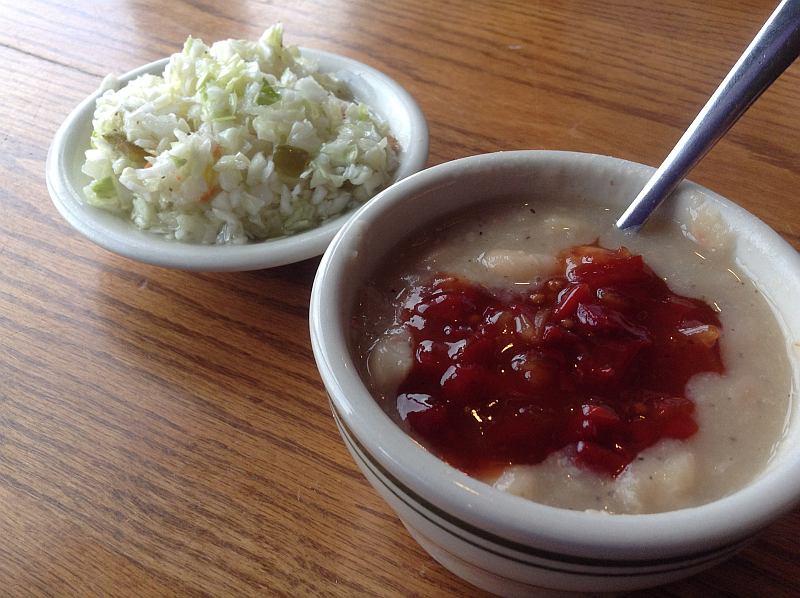 Each visit to the Homeplace begins the same for me – with a browse through the food and gift shop. I always find at least one thing I positively must have and this particular trip was no exception. The beautiful little jar of Raspberry Jalapeno Jam jumped off the shelf at me – it was literally the first thing I saw and I grabbed it immediately. I thought about it the entire ride home – wondering if I’d make cornbread for its grand debut in my kitchen or if it called for gluten free biscuits. When the next morning came, I decided I couldn’t wait any longer, so I grabbed a slice of Kroger brand Gluten Free 7 Grain Bread* (AMAZING BREAD! ), buttered him up and threw some Raspberry Jalapeno jam on top. It was even better than I was expecting. It was phenomenal! The beautiful sweetness of the raspberries and the perfect amount of heat from the jalapenos made beautiful music together. There’s an unmistakable jalapeno presence, but it in no way overpowers the jam. This jam couldn’t be more perfect if it had to be. I’ve kicked myself repeatedly for not grabbing 3, 6, 12, or 103 jars while I was there. Fortunately we’re frequent visitors to the Land Between the Lakes and I know exactly where I can find another jar. Or 3, 6, 12, or 103. 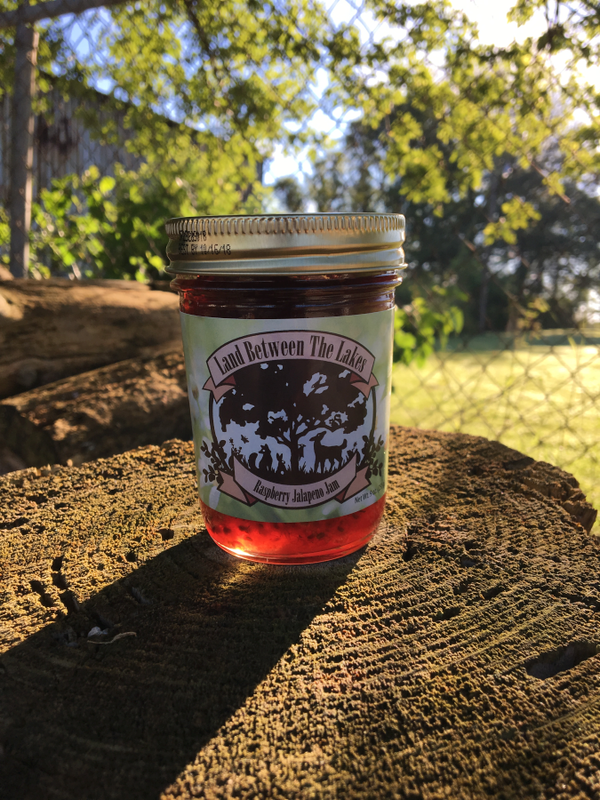 Next time you’re in the Land Between the Lakes region, search out the Land Between the Lakes jams and (assuming I’ve left any) make sure to grab a jar of the Raspberry Jalapeno Jam. 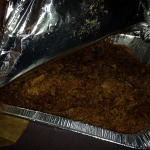 If I’ve left enough, I’m anxious to try it on cornbread sometime this week. I wish I’d looked at the other flavors as well but I got so excited when I saw the Raspberry Jalapeno Jam I forgot myself. If the other flavors are even half as good as this one, I may have to take a suitcase with me each time I go to the LBL! Fortunately, they’re very reasonably priced, so I won’t break the bank. * If you have to/choose to/get to eat gluten free, you will want to try the Kroger brand gluten free sandwich breads – they have white bread and a 7 Grain bread. They’re both delicious and are easily the best gluten free bread you can buy. Unlike most gluten free bread, they’re soft and don’t fall apart when you try to fold or eat them. They’re located in the bread aisle and they are a perfect 10 out of 10. Did you know that, if you have a Kroger Plus Card you can support worthy institutions and causes in your community simply by shopping? As I said above, this is so in my wheelhouse it isn’t funny. Kroger is as present in my daily routines as brushing and flossing are. Actually, come to think of it, I’m pretty sure I shop more than I floss. The Community Support program costs you nothing – you simply log into your Kroger account and locate COMMUNITY in the top nav bar. Beneath COMMUNITY is the choice “IN YOUR COMMUNITY” – click that! When you land on the Enroll page, either search for the organization you’re interested in, keywords (Humane Society, Church, Boys and Girls Clubs…), or the specific town you’re interested in. 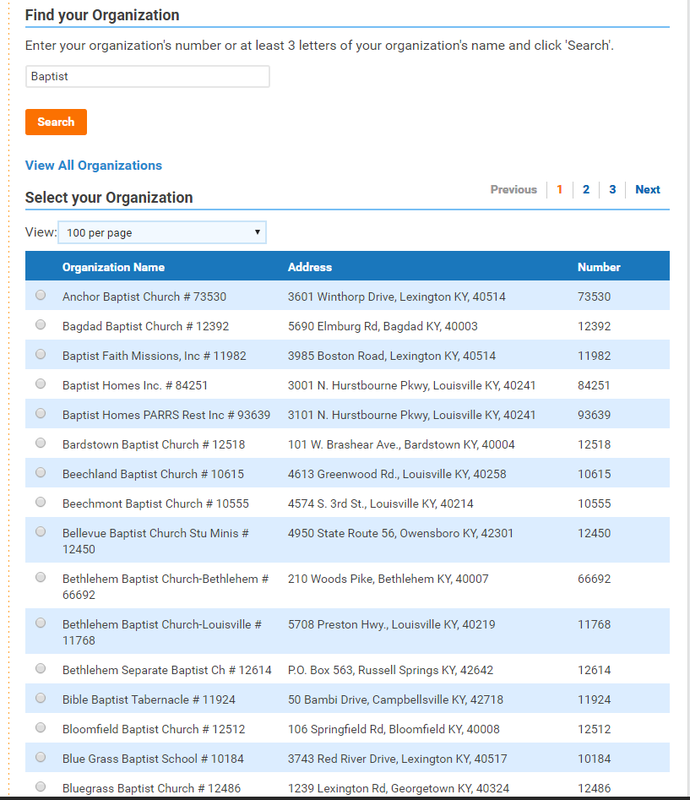 I searched Baptist for the illustration and, as you can see in the picture at the bottom, I came up with pages and pages of Baptist Churches in Kentucky. It’s a wonderful way to “give back” to your community and, again, it costs you absolutely nothing. 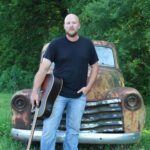 A LOT of Humane Societies – such as the Owensboro Humane Society (the community support program I am enrolled in this year)- are enrolled in the program and, obviously, could use more support. Simply enter “Humane Society” in the search box and look for the one in your community. Many museums – either enter the word museum or the name of a particular museum and help support the museum as they keep history alive! There are many, many others – all you have to do is look. There are so many wonderful choices, I wish I could choose more than one. However, the support would be diluted if that happened. I hope you’ll take the couple of minutes and support a worthy cause today. Remember, you have to re-enroll each year. Then… all you have to do is shop! 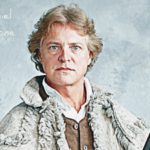 If you’re into history as much as I am, you’re probably already reaching for your calendar. This is something you won’t want to miss. 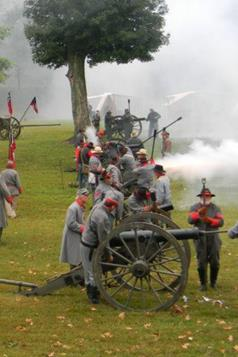 Columbus-Belmont State Park will host the 26th Annual Civil War Days Oct. 7-9. The weekend will include battle re-enactments, history and museum tours, soldier camps, entertainment, food and more. Admission is free. 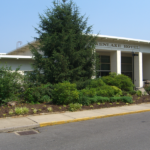 This three-day event will begin on Friday, Oct. 7 with Education Day. There will be cannon and rifle demonstrations, life of a soldier and dance instruction. Students, scouts and groups are encouraged to participate, but everyone is invited to attend and take a closer look at history by taking a step back in time. The opening ceremony will take place Friday evening with food and entertainment. 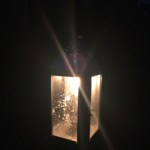 Cannons will fire from the bluffs to end the ceremony and then there will be a ghost walk through the Confederate earthworks with lanterns lighting the way. 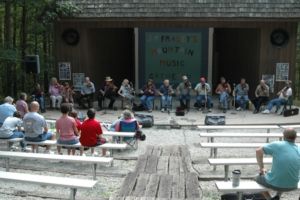 There will be events all day on Saturday with guest speakers and the Kentucky HistoryMobile will be on site. The Civil War Ball on Saturday night will feature music and dance instruction. The band for the evening will be The 52nd Regimental String Band. Shopping will be set up on “Sutler Row,” where there will be tents set up with clothing and accessories. There will be a Beautiful Belle and Handsome Gent contest before the dance and a Best Beard and Scraggly Beard contest during intermission. Sunday will begin with a morning service as well as a memorial service in Columbus Cemetery. The battle re-enactments will take place at 2 p.m. on Saturday and Sunday. They will feature guns firing, cannons blasting, horses running and tents burning.